Gus Roman, of Philadelphia, was flipping through a photo book his stepdaughter, 13-year-old Alexa Figueroa, gave him for Father’s Day when he was surprised with a picture note on the last page. 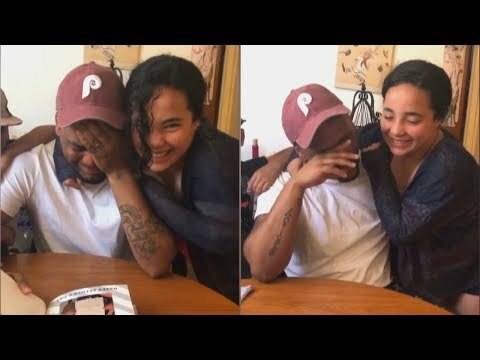 The Pennsylvania man couldn’t hold back his tears as his stepdaughter asked him to officially adopt her. “Hey Dad! 10 years seems long enough don’t ya think?! Wanna adopt me?” a note at the end of the book read. InsideEdition.com’s Keleigh Nealon (http://twitter.com/KeleighNealon) has more.